Fire up the grill and open a can of beer! 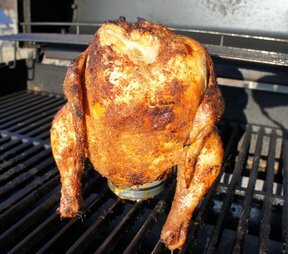 Here's to the moist and tender beer can chicken. The rub is filled with the best of both sweet and spicy. 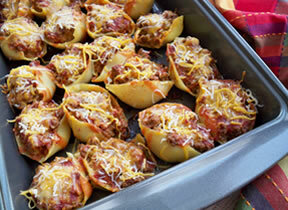 It'll be a great addition to your summer meal. 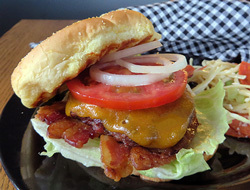 A juicy burger that is perfect for grilling or broiling. Topped with bacon for an extra boost of flavor, it will be a hit at any backyard barbecue or gathering of friends and family. 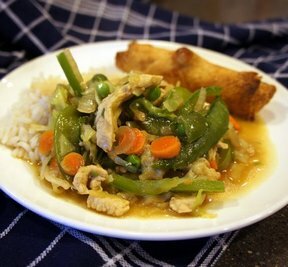 This stir fry recipe is similar to the filling of an eggroll. It's delicious either on white rice or chinese noodles. 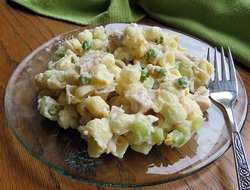 A tasty macaroni salad with the addition of chicken for an extra boost of flavor. This salad makes a nice side to any meal or a great light dinner salad all on its own. 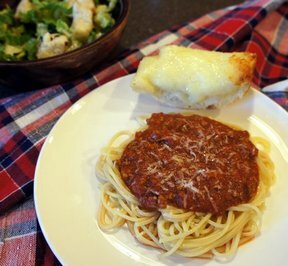 This homemade spaghetti sauce can be made in larger batches and frozen. The longer it simmers the better it gets. 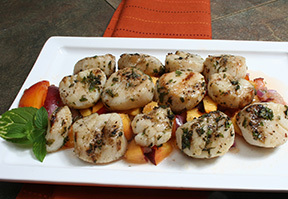 Scallops are so tender and flavorful when quickly grilled, but they become even better when served with this naturally sweet salsa featuring peaches and pineapple. A jalapeno gives it a touch of heat. The Cookies and Cream Salad can be served with the meal as a sweet salad or saved to be served as a dessert. Either way, you will love it.